China launched a new navigation satellite on Wednesday, using a CZ-3C Chang Zheng-3C (CZ3C-4/Y4) launch vehicle from the Xi Chang satellite Launch Center, in Sichuan Province. Launch took place at 15:53 UTC, as the new BeiDou-2 (Compass-G3) series continues to build the Compass constellation – joining three other satellites already orbit. The constellation of satellites will eventually consist of 35 spacecraft, including 30 MEO birds with nine satellites for each orbit plane, along with five GSO spacecraft. The satellites will transmit signals on frequencies 1195.14-1219.14MHz, 1256.52-1280.52MHz, 1559.05-1563.15MHz and 1587.69-1591.79MHz. Notably, some of the signals overlay the Galileo PRS band and the GPS M-code. It is stated under International Telecommunications Union (ITU) policies, that the first country to start using a specific frequency is granted priority status, and later service providers transmitting on the same band must ensure that their broadcasts do not interfere with previously authorized signal. The Compass Navigation Satellite System (CNSS) is China’s second-generation satellite navigation system capable of providing continuous, real-time passive 3D geo-spatial positioning and speed measurement. The system will be initially used to provide high-accuracy positioning services for users in China and its neighboring regions, covering an area of about 120 degrees longitude in the Northern Hemisphere. 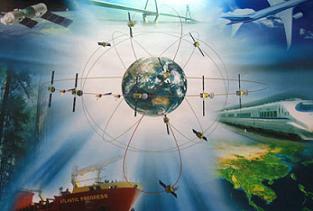 The long-term goal is to develop a global navigation satellite network similar to the GPS and GLONASS. Like its American and Russian counterparts, CNSS will have two kinds of services: a civilian service that will allow for an accuracy of 10 meters for the user’s position, 0.2 m/s on the user velocity and 50 nanoseconds in time accuracy; and the military and authorized user’s service, providing higher accuracies. The first phase of the project will concentrate on the coverage of the Chinese territory, while the future role of the Compass constellation will aim for global coverage. The BeiDou-2 was developed in the basis of the DFH-3 satellite platform and has a lifespan of 8 years. This was the fourth flight of the CZ-3C Chang Zheng-3C launch vehicle. 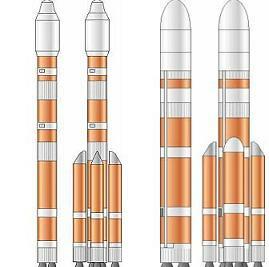 The rocket was developed to fill the gap between the CZ-3A Chang Zheng-3A and the CZ-3B Chang Zheng-3B, having a payload capacity of 3,800 kg for GTO. The rocket is a three stage launch vehicle identical to the CZ-3B, while only using two strap-on boosters on its first stage. With a liftoff mass of 345,000 kg, the first two stages – along with the two straps on boosters – use hypergolic (N2O4/UDMH) fuel, while the third stage uses cryogenic (LOX/LH2) fuel. The total length of the CZ-3A is 54.838 meters, with a diameter of 3.35 meters on the core stage and 3.00 meters on the third stage. The first launch of the CZ-3C Chang Zheng-3C launch vehicle took place on April 25, 2008 when it orbited the first TL-1 Tian Lian-1 tracking and data relay satellite. This was the 125th successful Chinese orbital launch and the 124th launch of a Chang Zheng launch vehicle. This was also the 53rd successful orbital launch from the Xi Chang Satellite Launch Centre, which is situated in the Sichuan Province, south-western China and is the country’s launch site for geosynchronous orbital launches. 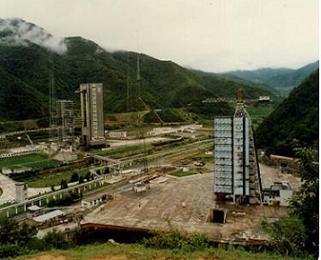 Other facilities on the Xi Chang Satellite Launch Centre are the Launch Control Centre, propellant fueling systems, communications systems for launch command, telephone and data communications for users, and support equipment for meteorological monitoring and forecasting. The first launch from Xi Chang took place on January 29, 1984, when the CZ-3 Chang Zheng-3 (CZ3-1) was launched the Shiyan Weixing (14670 1984-008A) communications satellite into orbit. China is also gearing up for two important missions: the launch of Chang’e-2 next October and the launch of TG-1 TianGong-1 space module at the beginning of next year. TiangGong-1 is expected to accomplish the country’s first space docking and is regarded as an essential step toward building a space station, according to Qi Faren, former chief designer of Shenzhou spaceships. Weighing about 8,500 kg, TianGong-1 will be able to perform long-term autonomous operations, which will be an essential step toward building a space station. The unmanned Shenzhou-8 spacecraft will aim to achieve China’s first space docking, with docking maneuvers controlled from the ground. 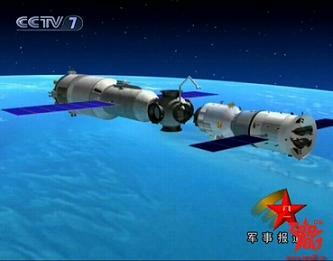 Later Shenzhou-9 and Shenzhou-10 – the two other spaceships to dock with Tiangong-1 – are set to carry a crew of two or three. With the launch and docking of TG-1 and SZ-8, China is able developed one of the most sophisticated space technologies – as it requires precise controlling of two high-speed spacecraft which meet and dock in space, together with other technologies like replenishment of propellant, air, water and food as well as a regenerating life guarantee system for the space module. TG-1 TianGong-1 is going to be launched by a modified CZ-2F Chang Zheng-2F launch vehicle sometimes referred as CZ-2F/G Chang Zheng-2F/G, that has 170 technological modifications, including 38 major ones. Meanwhile, China is advancing on the development of the CZ-5 Chang Zheng-5 series of launch vehicle, with the building of a launch vehicle production base in the northern municipality of Tianjin. According to official sources, this development has a total investment of 10 billion yuan and covers an area of more than one million square meters. The base will be capable of producing 12 launch vehicles a year. After the first phase of construction is completed in 2011, the base will be able to produce two launch vehicles. Earlier reports point to the first launch of the CZ-5, with a maximum payload capacity of up to 25,000 kg, in 2014. Chang’e-2, that starts Phase II of China lunar exploration, will orbit the Moon at 100 km altitude for collecting data for the soft-landing of Chang’e-3. The probe will be equipped with a high-resolution camera that is capable of spotting lunar surface features as small as three feet across. Chang’e-1, launched on October 24, 2007 only had a resolution of 120 meters. Also involved with Phase II are the launches of Chang’e-3 and Chang’e-4, two probes that will land on the Moon. Starting on 2017, the Phase III will see the launch of Chang’e-5 and Chang’e-6, that will return samples from the lunar surface.